From the train station, leave via the main exit at the front of the station. Take a left turn and follow the road around, you should walk past the Britannia Adelphi Hotel. Next, take the second road on your left - Mount Pleasant. This should take you around five minutes. You will then arrive at a set of traffic lights, here, continue up the hill and you will see the Metropolitan Cathedral on the left hand side. LiverpoolSU is based within the John Foster Building, opposite. There is a 'city bike' scheme operating in Liverpool City Centre. You can rent a bicycle for a range of locations. 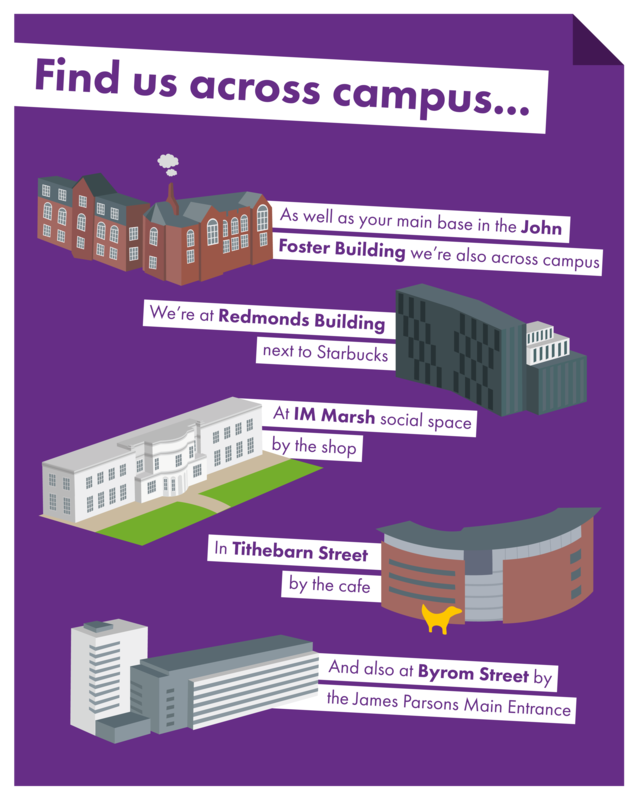 The nearest station to LiverpoolSU's main hub at the John Foster Building is based on the corner of Mount Pleasant and Hope Street, opposite the Metropolitan Cathedral.